The press release I received claimed that "Front Door Fashion is an innovative approach to fashion in Dallas. Start by creating an in-depth style profile (sizes, body type, favorite features and colors, etc.) on FDF's website. In about two weeks, you'll receive your FDF delivery with four to six professionally styled looks complete with accessories and options for dressing looks up or down. 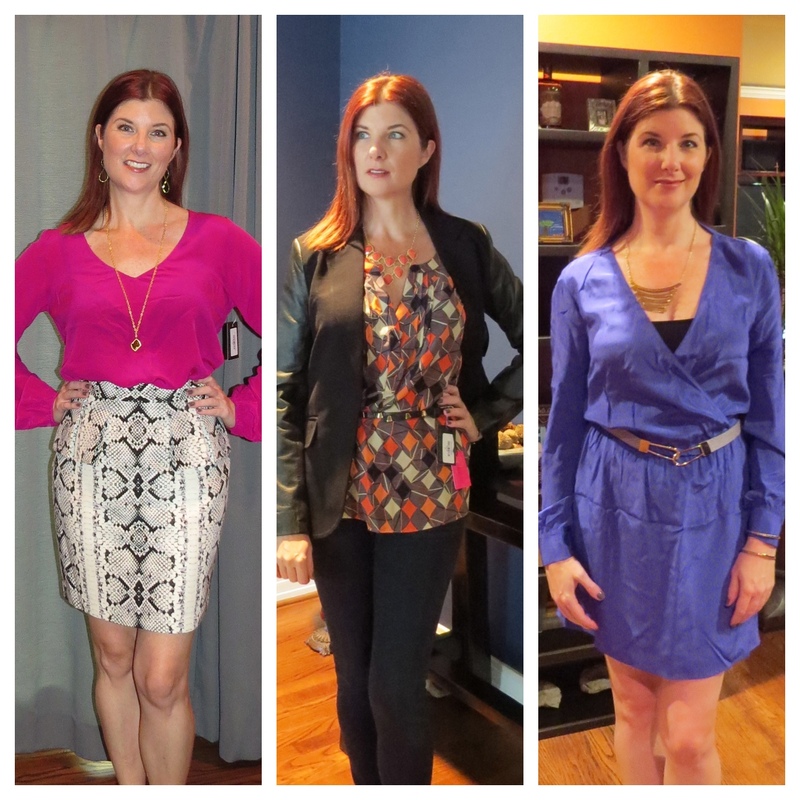 Clients can try on each ensemble in the comfort and privacy of their homes. Keep the pieces you want, use the free shipping to return the pieces you don’t, and FDF charges you accordingly. FDF also tracks purchases to ensure that each future delivery is more in line with each client’s personal taste and budget. Let’s just address any skepticism right now: There are no minimum order requirements. No membership fees. Shipping is always free. Order boxes at your own pace or set up quarterly or monthly deliveries, but there’s no requirement for that either (and FDF always sends a friendly confirmation email before shipping anything). And just like Dallas’ top boutiques, FDF offers fashion-forward, hard-to-find pieces at a very competitive price point. It’s perfect." Perfect, eh? I decided to try the service and see if perfection could indeed, be obtained. Eager to try this service out, I went online and filled out their extensive questionnaire. In about 10 days, a box arrived at my doorstep. I felt like a kid at Christmas. It was big and heavy and full of potential treasures. I couldn't wait to open it. Inside were 5 different outfits, ranging from weekend casual to weekday chic. An envelope held a detailed list of what had been selected for me (with prices), a UPS return mailing label, and a personalized note from my stylist. You guys know my style... Did they hit? Or miss? On a scale of 1-5, I give them a 3. While I liked the quality and range of their selections, there were some major missteps. Redheads are very iffy on pinks and oranges. Maybe this should be on their questionnaire when you check that you are a redhead - Do you wear red and oranges? Personally, I do not, and all of their color choices for me were hot pinks and corals. Seems like a gamble and it was one that did NOT pay off with me. Then there was the horrible purple dress you see above. It was shapeless and did nothing for my figure. They paired it with a belt that took me 10 minutes to figure how to fasten. On the plus side, they did a bang up job on the accessories. They were interesting, fun and great price points. I loved the skinny jeans they selected for me and the snakeskin skirt you see above with a peplum I thought was fantastic. If only the top had been turquoise or green... Some of the brands in my package were Nicole Miller, Citizens of Humanity, House of Harlow and Nanette Lapore. Prices ranged from $20 to $300. Would I use the service again? Absolutely. I feel like with some initial feedback, my next box would have been much more on target. And, hey, it's all free to ship back so no harm, no fowl! If you are someone who doesn't like to shop or want personal advice from professional stylists, then this is a fantastic option for you. Whether you’re sold or skeptical, visit www.FrontDoorFashion.com and click on “Get Started” to order your first shipment. Tell them I sent you!